A crowd favorite FOR SURE. 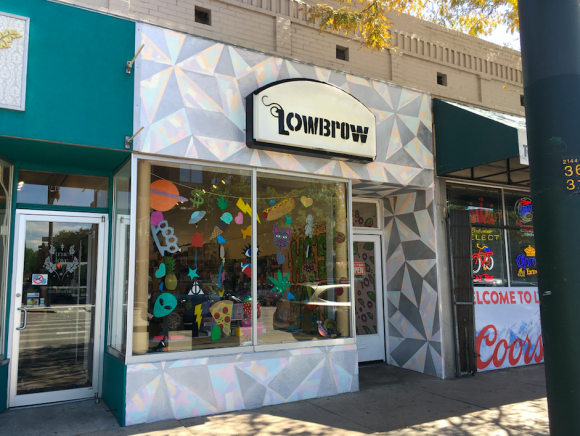 Low Brow is another of our good friends (in the form of an entire store) that makes us happy to keep doing what we do. The Kidrobot crew has a soft spot for this location because they are working the streets of Denver to bring vinyl love to all human beings and work with us all to make sure they have whats new, whats old, whatever we need and a good attitude EVERY DAMN TIME. Stop, look listen…cuz you WANT to know the skinny on this little one spot stop to shop…..
What year did Lowbrow open? A fateful June afternoon in 2012! The short answer is, we just love colorful, happy, fun stuff! We just want to help make art approachable and fun for everybody, whether that’s making your own art, collecting cool toys from your favorite artists, or even just using scented glitter gel pens at work to snazz things up a little! There’s so many ways to brighten up your day and we love that we get to help people out with that! For a Denver native, what’s Broadway/your neck of the woods known for? Broadway is one of our very favorite Denver neighborhoods, and not just because we’re lucky enough to be part of it! It’s definitely a creative, eclectic neighborhood that’s been around for a while but still has so many new fun places popping up all the time next to the old established favorites. If you want to get to know the ‘hood, it’s a great place to spend a Saturday or Sunday getting coffee, brunch, or ice cream, browsing all the amazing independent boutiques for things like craft supplies, records and comics, and new and vintage clothes and gifts- and of course stopping by Lowbrow for a unicorn or two, before grabbing a cocktail or beer at one of the amazing bars and restaurants around the neighborhood! What’s a 2018 goal for Lowbrow? We of course have some amazing shows coming up in our gallery in 2018, and along with we’re super excited to be launching a new rotating pop-up area in the shop where we can feature even MORE amazing art stuff, along with expanding in-store installations and highlighting some of our favorite local makers! Basically, there’s so much fantastic art out there and we’re just trying to make room for all of it! What has your involvement in the art/toy scene taught you? 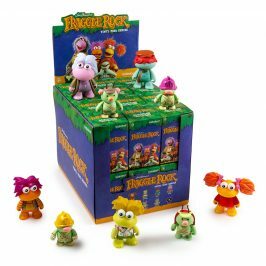 Spending the last five years hooking Denver up with their favorite vinyl toys, we’ve realized that toys are for everybody! We have serious adult collectors, little kids who come in every week with their parents to get a toy, and some parent/kid combos who have been collecting together for years and it’s so fun to watch! It really spans the generations and we love when we get to introduce someone new to this world! Why do you have Kidrobot in your store? 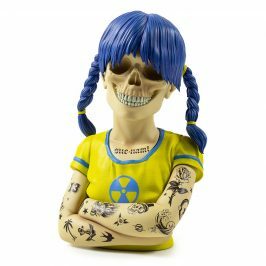 Kidrobot is a must-have for any art toy shop! 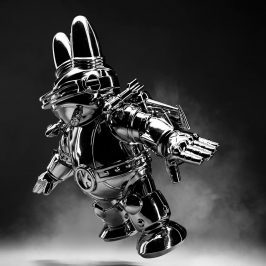 There’s such a great range of lines that span the range from cute lil guys for peeps who like fun stuff to really amazing detailed limited edition sculptures for the serious collector. It’s the perfect gateway art drug! 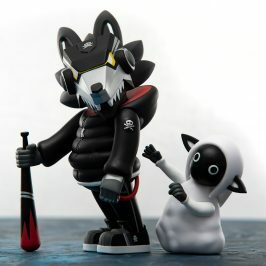 What is an upcoming Kidrobot release you are excited for? 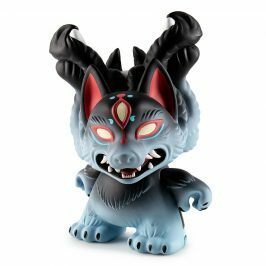 There’s some awesome toys coming out in 2018, but we’re particularly excited for the Wild Ones Dunny Series out soon, and also we’re particularly psyched-out-of-our-minds for the Mike Fudge dunny coming out in April! 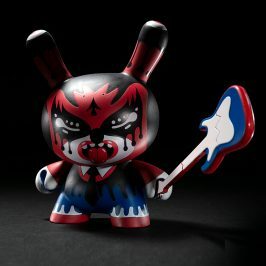 We’ve been following Mike Fudge for a while- and even had a show with him in our gallery- so we’re so so excited for this amazing local talent to be making big strides like working with Kidrobot! What else do you want people to know about Lowbrow?